The Tumba is another original cocktail from Favela Cubana in Greenwich Village. This one features Mezcal, known for its smokey taste, with strong notes of ginger and grapefruit juice. The citrus and spice bring out other subtleties in the Mezcal, so the flavor is easy to enjoy yet wonderfully complex. Put the sliced ginger and agave nectar into a shaker. Use a muddler to press the ginger several times until it’s slightly smashed and the juices are released. Pour in everything else except the ginger candy, and add ice cubes. Shake vigorously for about 20-30 seconds. 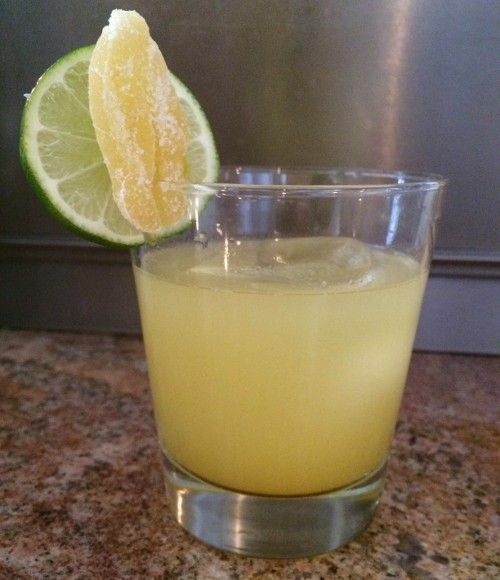 Put a few ice cubes in a lowball glass and garnish with a ginger candy (or lime and lemon wheels).